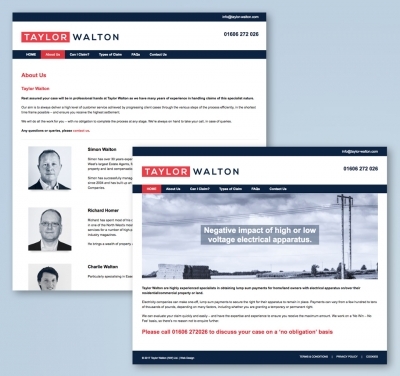 So far Simon Roberts has created 125 blog entries. 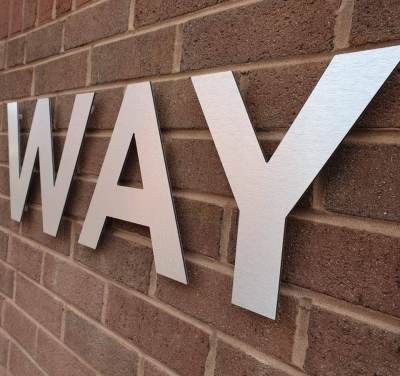 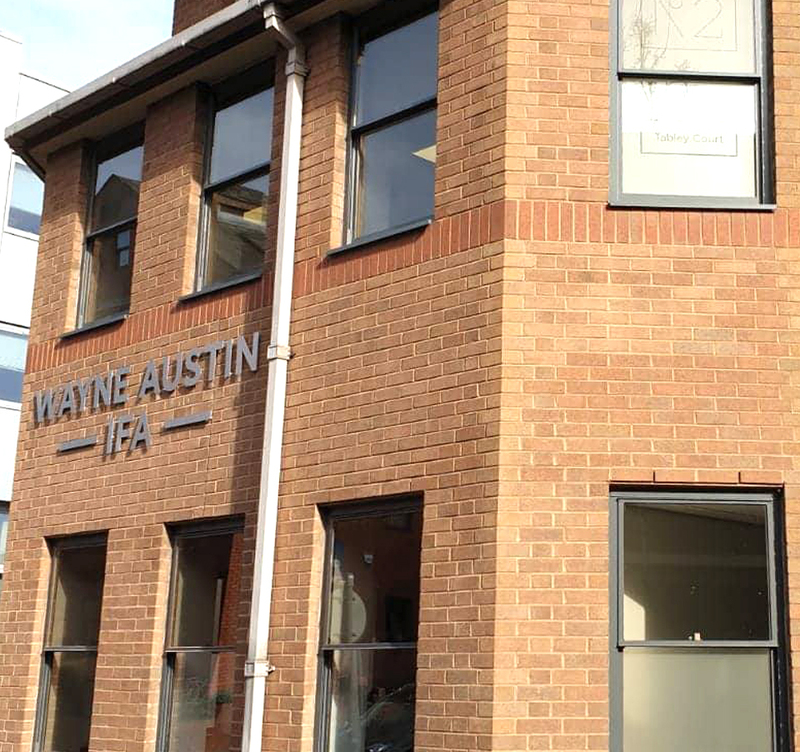 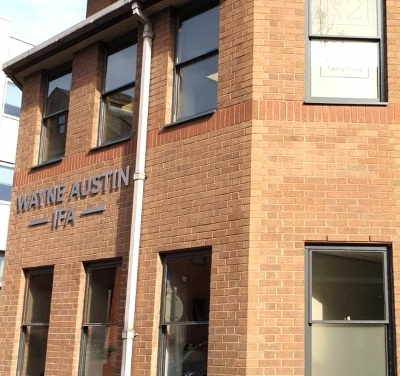 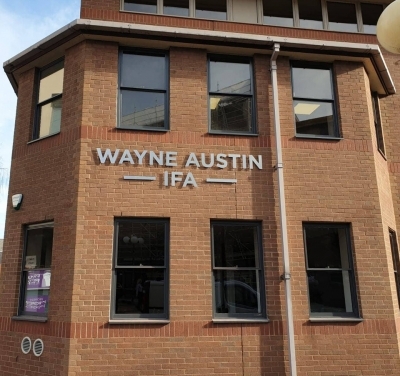 Wayne Austin came to me to replace old signage to the exterior of their new offices in Altrincham. 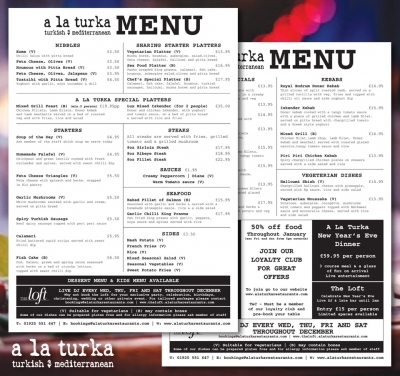 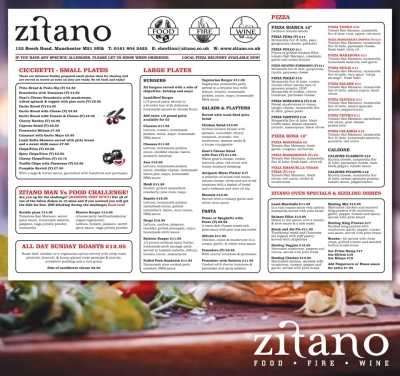 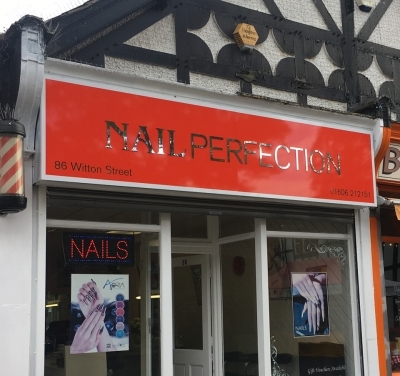 They had the old signage removed and had a simple request of taking their existing logo, fattening it up for maximum impact to fill the maximum area available. 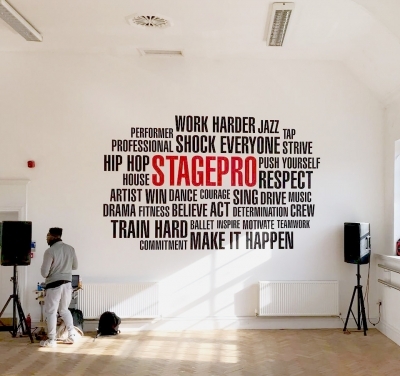 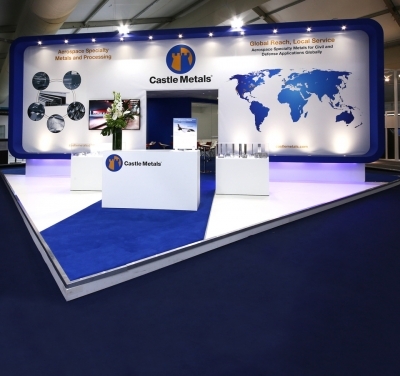 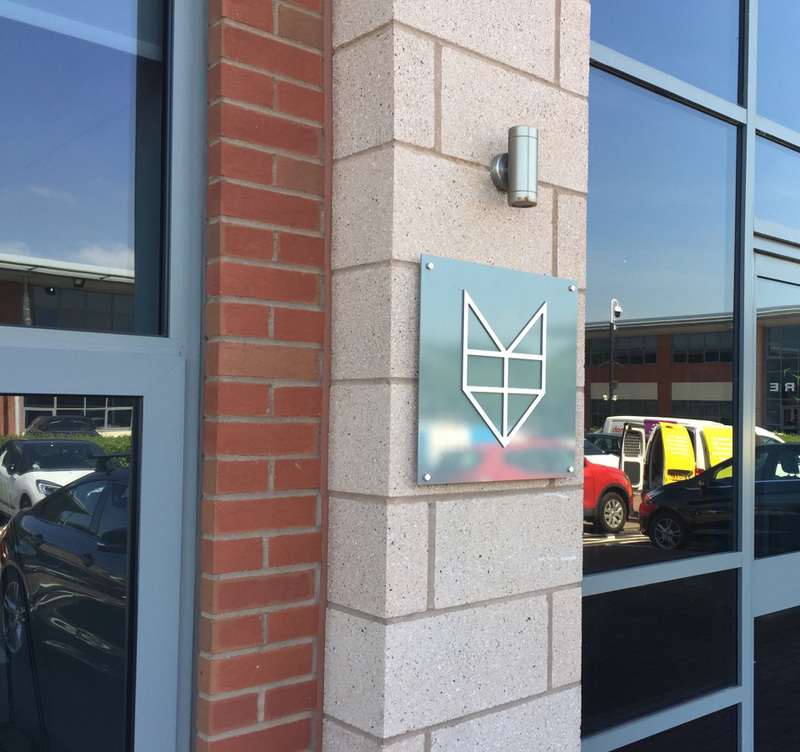 The logo was 2.8 metre wide, flat-cut brushed silver finish, 3mm aluminium composite sheet, on stand-off locator fixings installed to the first floor. This tray sign was colour matched to the window frames in order to compliment the building and its surroundings. 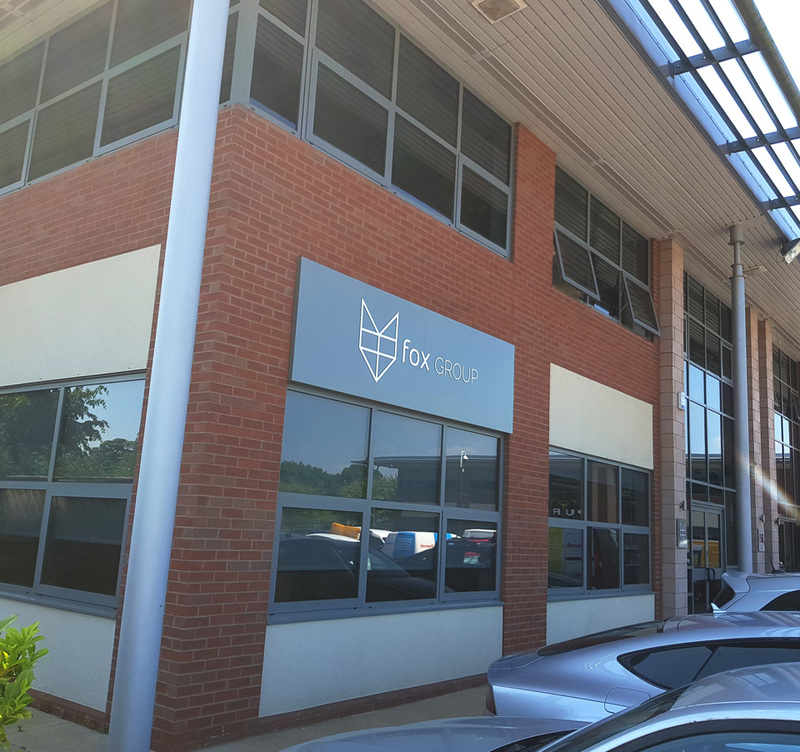 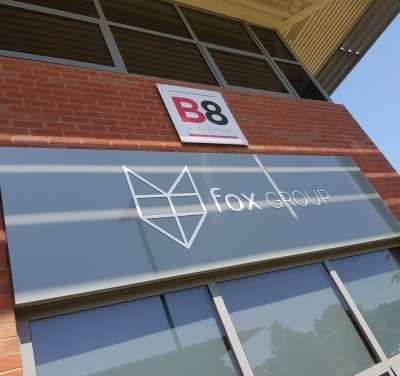 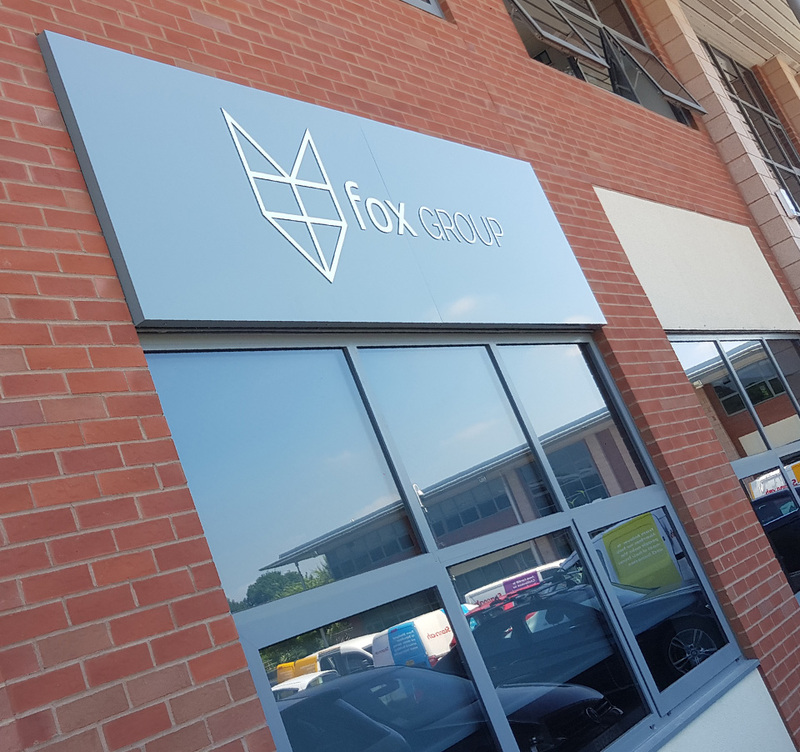 The Fox Group logo was fret cut in white to stand off slightly from its background with 3 signs in total supplied and fitted.